Chefs in restaurants and hotels have usually been men. 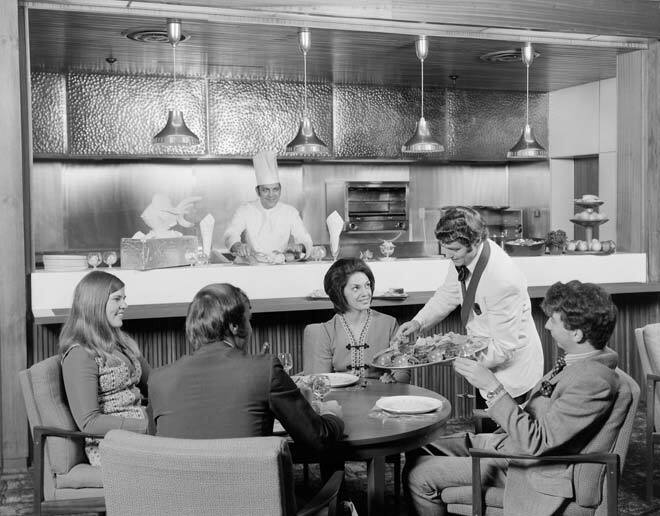 Here, the chef at the Wairākei Hotel in Taupō watches a waiter serve two couples at dinner. No doubt the women were enjoying a well-deserved break from cooking at home.